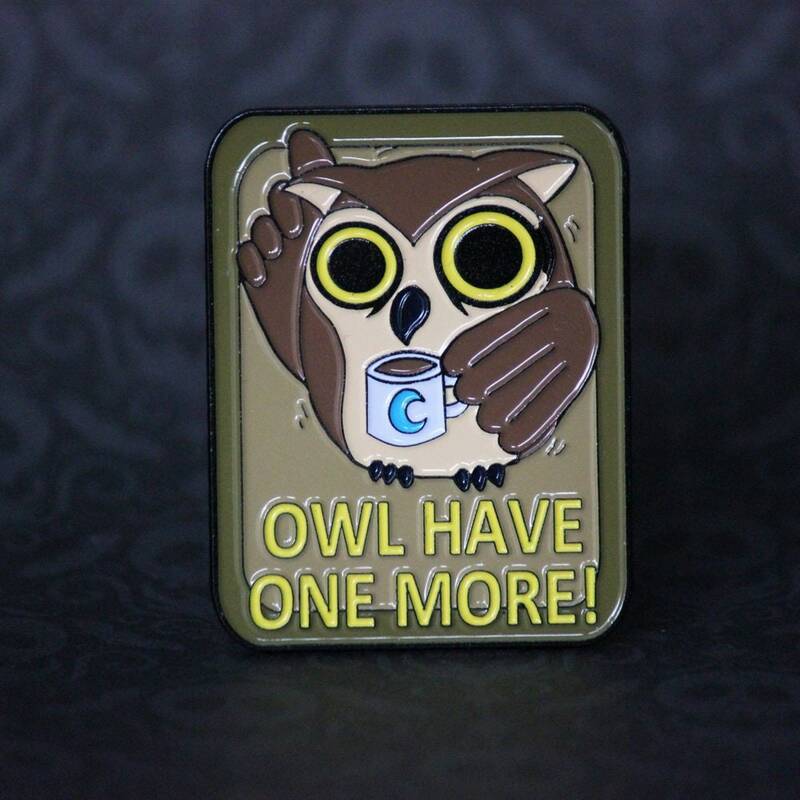 Edgar loves caffeine, it helps keep him up owl night long! These soft enamel pins are 2" in size and have two rubber backers to keep it secure on your bags! *Actual pin design may vary slightly from the image due to the enamel pouring process.